Regardless of the season, a Michigan family vacation is your ticket to adventure, excitement and plenty of fun. What's more, with so many affordable options available, planning a trip to the "Wolverine State" doesn't have to break the bank. Michigan is an upper Midwest mecca for family fun. The state is home to the longest freshwater coastline in the world, more than 64,000 inland lakes and ponds, and hundreds of other outdoor gems. However, in addition to its rich medley of natural treasures, the state also boasts bright lights and big city life. Whether you are looking to escape into nature or you prefer to treat your clan to a high-octane trip to the "Motor City," a Michigan family vacation has something for everyone. Michigan is a magnet for skiers. The state's resorts are top-notch, and for good reason. Michigan is home to some of the steepest mountains in the nation, and the region sees some of the heaviest snowfall on the planet. Resorts like Crystal Mountain offer some of the best family skiing with amenities for beginners and those who thrive on challenging runs. What's more, families can score great winter vacation packages that combine lodging and lift tickets at reasonable prices. Summer in Michigan is equally fantastic thanks to the state's abundant natural treasures, such as Torch Lake Michigan. Heralded as Michigan's longest inland lake, people travel from around the world to bask on its shoreline and fish in its waters. The area is peppered with rental cabins, cottages and resorts that allow easy access to fishing, hiking, swimming and canoeing. The lake is also a hot spot in the fall when the leaves change and reflect off the lake's unique mixture of light green, blue and turquoise waters. Henry Ford Museum: You can't take a trip to the "Motor City" without visiting the museum named after the man who jump started it all. The Henry Ford Museum provides hands-on lessons in the evolution of historic vehicles from Rosa Parks' bus to limousines used by various presidents. Comerica Park: More than just a haven for baseball fans, Comerica Park is also a mini theme park (complete with Ferris wheel and carousel) and sports museum rolled into one. The Detroit Zoo: With more than 270 species of animals to meet and greet, the Detroit Zoo is as family-friendly as it gets. Casinos: Let the good times roll at one of the city's popular casinos, including the MGM Grand, Motor City Casino, and the Greek town casino. Take some time to venture off the beaten path during your Michigan family vacation. The state features dozens of quirky attractions for the adventurous, including Planet Walk in Lansing, Michigan. The educational attraction makes learning fun by allowing kids of all ages the chance to stroll near a scale model of the solar system complete with an oversized basketball-sized sun. The 45-minute tour begins at the Impression 5 Museum and ends at Lansing's Potter Park Zoo. Another of Michigan's extremely popular hot spots is Hell. Created in 1841 by an avant-garde resident, Hell has since turned into a quirky tourist town complete with an ice cream shop called Screams where you can get a chocolate sundae served straight out of a coffin. You can also visit the Michigan Hearse Enthusiast Club or stop by the general store in the winter to buy a shirt that reads: "I saw Hell freeze over." A trip to Michigan with the entire family doesn't have to be a budget buster. If you are flexible with your travel dates you can score incredible deals, even during the height of the popular winter and summer seasons. Another way to save while exploring the great state of Michigan is to consider camping. Pitch a tent with the kids or rent a cabin in the great outdoors. Michigan has some of the best campgrounds in the country and the prices can't be beat. Finally, don't limit your vacation options to the state's most populous cities. Michigan is chock-full of cool little communities that can create great family memories. 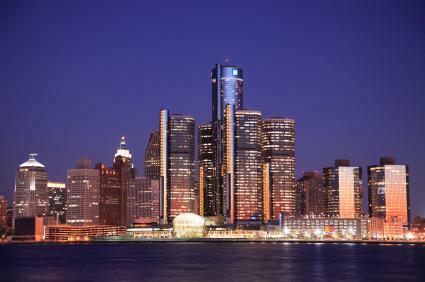 To find out more about them visit the Michigan Chamber of Commerce.